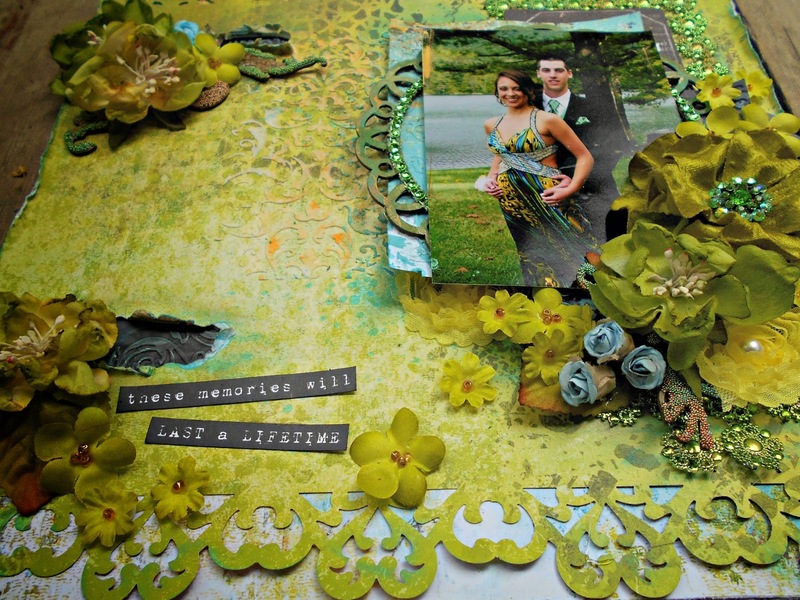 Leaky Shed Studio: Prom Page using LSS Flourishes with Tracey G.
Prom Page using LSS Flourishes with Tracey G.
I am having such fun exploring the versatility of Leaky Shed Studio chippies that I find myself adding them to all my projects! This is my oldest son,Hayden, at his Senior Prom, 4 years ago. His date looked gorgeous,but that was a difficult dress to scrap! 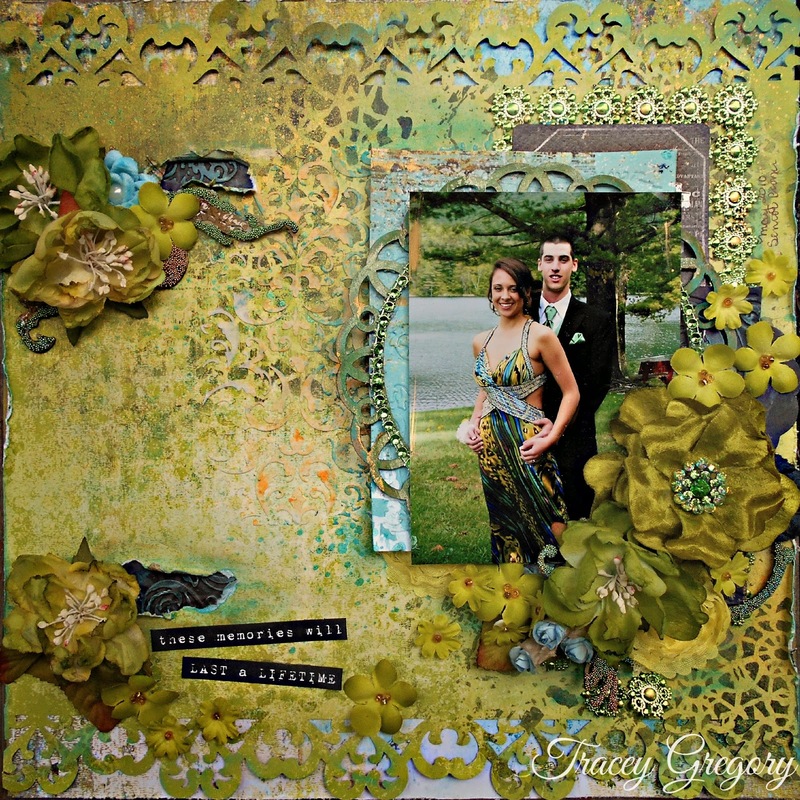 Using a Prima stencil,I applied texture paste to the background and misted it with blues and greens. The LSS Flourish chippie was covered in Crackle Accents and microbeads. Under the tearaway openings I inserted black Prima mats after embossing and highlighting them with blue chalk ink. 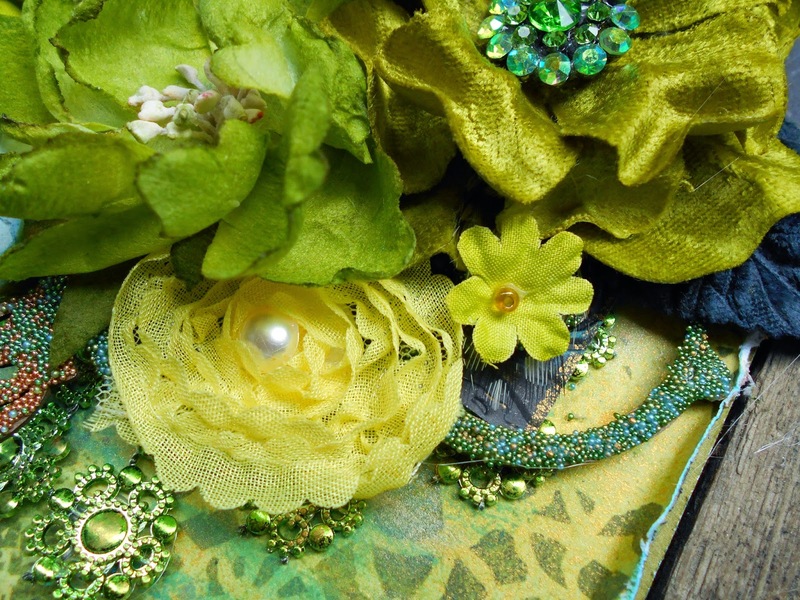 I added a few flowers from my stash and used mixed microbeads on this larger Flourish chippie as well. 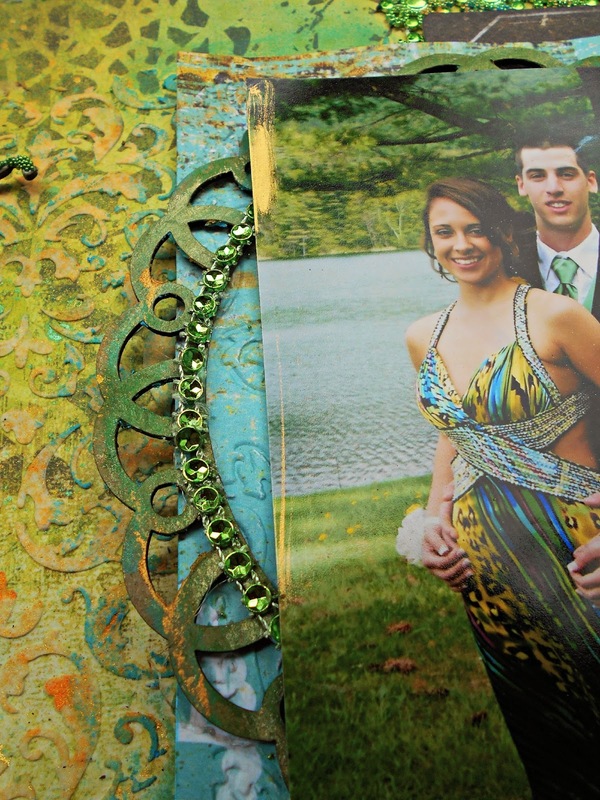 Keeping the same color scheme, I embossed the paper and used it to mat the pic that was edged in gold Rub n' Buff. The large circle frame chippie was rubbed with a mix of Copper,Gold and patina Rub n' Buff. I seriously love this stuff,if you can't tell. As you can see, lots of dimension to this page! 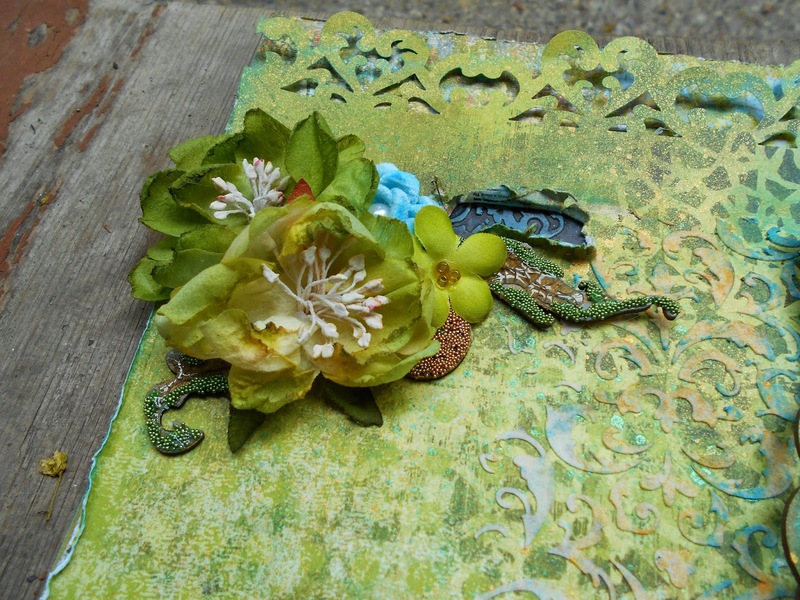 Steampunk Box with Tracey G.